Any home is susceptible to power outages, especially when it comes to severe weather. Being prepared is your best defense. We’ve got tips to help keep you, your family and your home safe and secure during the next power outage or weather emergency. Develop a family emergency plan that includes important phone numbers (doctors, family members, etc. ), an evacuation route and an agreed-on meeting place in case you lose communication with loved ones. Create a kit by filling a duffle bag or lidded container with three days’ worth of food and water. Include a flashlight, battery-powered radio, battery-powered clock, extra batteries, first aid kit, cash, medications and a CD or USB drive containing important documents. We’ve got a Disaster Supply Checklist to help you create your kit. Turn off major appliances such as your water heater, oven and air conditioning units. Unplug other appliances such as TVs, stereos, microwaves and computers. This will prevent damage to appliances and possible overloads to the system when power is restored. But leave one light on so you can see when power is restored. Familiarize yourself with your main electrical panel. You may have to turn off the main breaker or reset circuit breakers after an outage. Keep away from fallen wires, flooded areas and storm debris. Treat all downed wires and anything touching them as though they have electricity running through them. 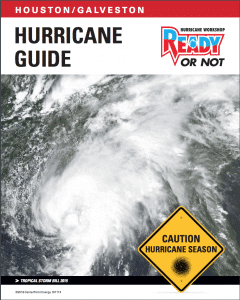 Consider installing a standby generator to protect your home. A standby generator is permanently installed outside the home and runs on natural gas or propane. Standby generators turn on automatically when the power shuts off, even if you’re away from home. A transfer switch monitors utility power and transfers the electrical load to the generator if power is lost. A KOHLER generator can power everything in your home, including lights, heating/cooling systems, appliances, sump pumps, security systems and more. 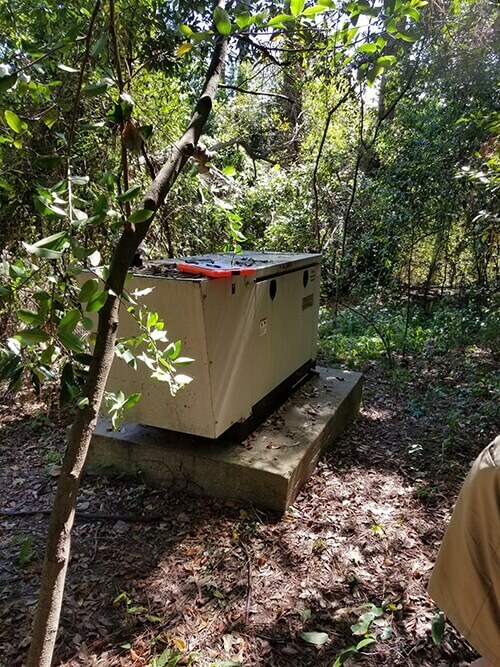 Be careful if you’re using a portable generator. Use properly rated extension cords (electrical load and length). Make sure the generator is properly vented to avoid carbon monoxide poisoning; don’t place it in your home or an enclosed space like a garage. Don’t connect it directly to your home’s electrical system; electricity could flow backward into the power lines and endanger lives. Plug appliances directly into the portable generator.